25 contestants participate each year. Without the help of our sponsors this would not be possible. If your business is looking for a way to give back and help change the lives of a small group of people that will have a huge impact on our community, then here is the information you need. Are you looking to apply for a future season? Here is a lot of the information you'll need to consider before applying for a future spot with us. It's takes many volunteers to make this program a success, but it all had to start somewhere. 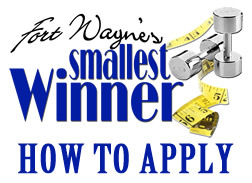 Rick Tina Walters are the Co-Founders and here is there story about why Fort Wayne's Smallest Winner is here today. Rick & Tina Walters Founders of FWSW. Our Passion is to help others and give back the gifts GOD has bestowed upon us. Rick has a degree in Exercise Physiology from University of South Florida. Rick started the Indiana State Bodybuilding Show in 1985 and it has continued at the Performing Arts Center every July! Rick owned Total Fitness Gym in Fort Wayne for 10 years . Rick and Tina received the Indiana State of the Governor Distinguished Hoosier Award in 2017. This award is one of the highest tributes given out by the State of Indiana to it's Citizens. It is solely granted at the discretion of the Governor to Hoosiers who have uniquely brought admiration and respect to the State through their Character and accomplishment. Rick and Tina were very humbled to receive. Rick & Tina were honored to receive. 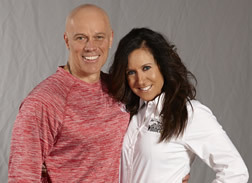 We both love motorcycles, cars, health, exercise, and helping others. We have been married for 23 years. Tina loves giving back and helping others. Tina owns her own company and is honored to be part of FWSW and watch people change their life. Nothing better then giving back to others what God has graciously given us. Tina completed her first Marathon November 2015 in Las Vegas. Tina was blessed to follow Vegas Marathon and run the New York Marathon Nov 2016! Truly a dream come true for Tina. New York is one of the 5 WORLD MAJOR's and was honored to run. Proving you can DO ANYTHING you set your mind to IF YOU JUST BELIEVE! We have a beautiful daughter named Cassandra. Cassandra attended Indiana University for her under graduate degree. She received her Masters Degree in Journalism at DePaul University. We are so proud of her & she is helping us with FWSW through the social media area! She lives in Chicago and works for a great company. She recently married her Prince Charming January 2017. We are so blessed to now have a SON! Day we will remember forever! We are so blessed with so many volunteers who make FWSW what it is today! We know without their giving hearts, talent, & time FWSW would not be a reality. We are also grateful to all our Sponsors who help make FWSW a reality! 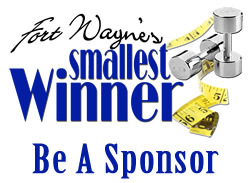 We know the Sponsors are who have allowed FWSW to evolve into what the program is today. You can best reach out year round from our Facebook page using the Follow Us links.